Subscribers are starting to receive their copies in the mail and the pdf subscribers got theirs on the 20th, so it's time to share the table of contents here on the blog. It's a terrific issue, and we have plenty left. 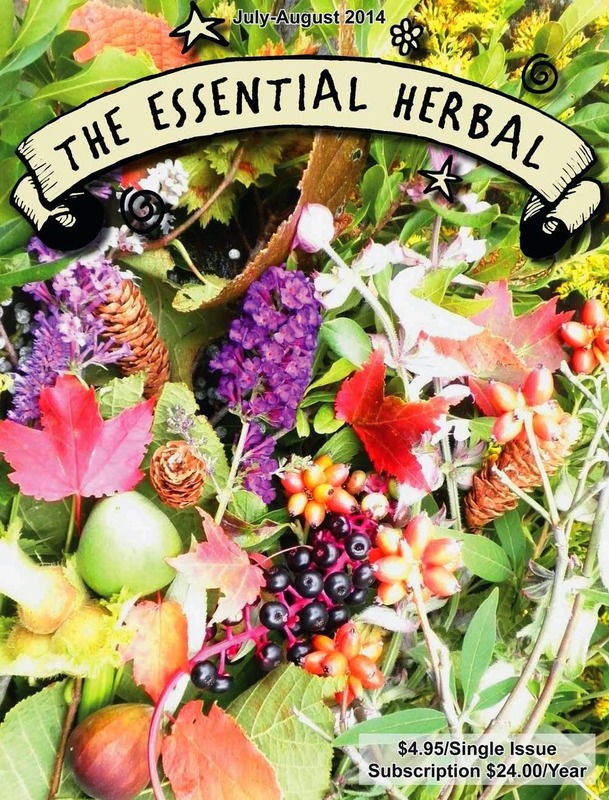 To subscribe, visit The Essential Herbal website! Some thoughts on sharing gardens with neighbors. An interesting, little-used method to make syrups that are filled with vitamins and minerals. 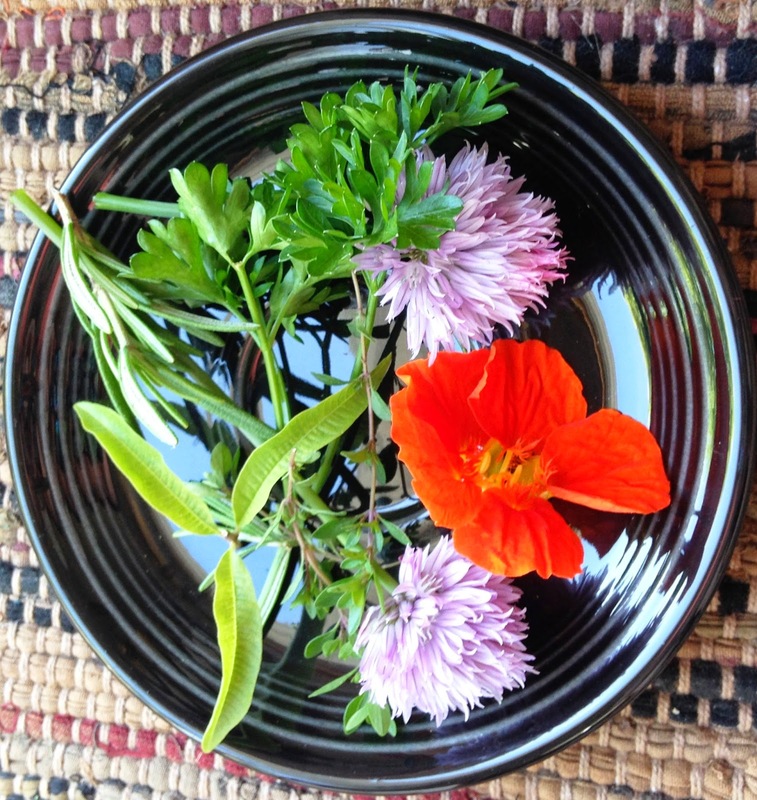 Preserve the herbs and flowers so that you can drink them for months to come. For such a large organ, we don’t think about our skin nearly enough. A delightful mélange of crafts that will be fun to play with during the last months of summer. A little something light to work in the hammock. A guide to one of the healthiest eating plans on the planet. Are your roses doing okay? Be on the look-out for Rosette. Several delicious methods of keeping the herbs that will empower you to savor and use them all year long—and plant even more next year. Marci shares some of the things she’s learned from years of soaping. Some simple and nourishing kitchen skin soothers to use topically and as food. After a life time of watching from the sidelines, it’s time to step up to the plate. Natural dying can be very fulfilling and the roots are just about ready! Wet or dry? What goes into them? Why? Well, Marcy will tell us and add a couple recipes as well! There will be several quarts of black raspberries! Maybe this year the borage will reseed - like we hear others speak of. An annual (here) milkweed for the butterflies. Over the past couple weeks I have been craving chicken salad. While there are plenty of restaurants with good chicken salad, I have yet to find one that had everything I wanted. Some had cranberries but no walnuts, while others had walnuts but no spice. There was always something missing. I first had chicken salad while I was away at college. During one of my study sessions at a local coffee shop, I decided to try something new. I was shocked when I found out the chicken salad I thought was only made in diners for the early bird special could actually be incredibly delicious. Since then I’ve been determined to find it again. So Mom took on the task to make the perfect chicken salad. 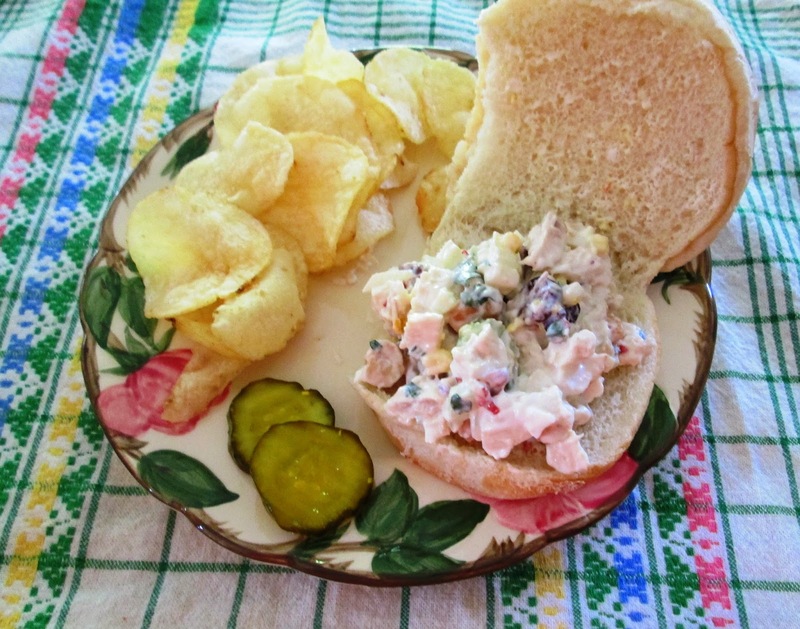 During one of the days I was away at class, she painstakingly prepared a chicken salad that had everything from cashews to cranberries, even nasturtium. And I had to share the greatness. After that it is time to add the herbs! Chop all fine and then mix well into the chicken salad and add one cup of mayo. Afterward you should let chill in the fridge, buy some fantastic buns or even croissants and enjoy!